LA PORTE CITY - Ray L. Bagenstos, 71, of La Porte City, died Sunday, Aug. 1, at La Porte City Nursing and Rehab Center of pulmonary fibrosis. 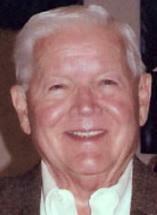 He was born Aug. 7, 1938, in La Porte City, son of William E. and Rachel McCune Bagenstos. He married Caroline Moody on Feb. 7, 1962, in Arizona, and they later divorced. Mr. Bagenstos retired from RS Prewitt Co. as a wholesale food broker. He also was a veteran of the U.S. Army. Survived by: three sons, Michael (Laura Long) of Boca Raton, Fla., Brent (Judy Trentz) of La Porte City and Wade (Tina) of Des Moines; a daughter, Cassie (Milton Osborne) Bagenstos of La Porte City; six grandchildren, Heather, Haley and Brooke Bagenstos, Kirstien Riggle and Blake and Ryan Bagenstos; three stepgrandchildren, Kyle, Amy and Becky; a great-grandson, Dominick; two brothers, Richard of Ohio and William of La Porte City; and two sisters, Margaret "Peg" Phillips of Prescott, Ariz., and Geraldine (Wally) Bogart of Baker City, Ore.
Preceded in death by: his parents; and a granddaughter, Linda Bagenstos. Memorial Services: 10:30 a.m. Thursday at Heartland Community Church, with inurnment in West View Cemetery, both in La Porte City. Graveside military rites will be conducted by La Porte City American Legion San Diego Post 207 and VFW Post 3983. Public visitation from 4 to 7 p.m. Wednesday at La Porte City Funeral Service and for an hour before services Thursday at the church.